Will Microsoft demo Windows 8 for tablets next week? A rumor from two months ago suggested that Microsoft would demo its Windows 8 tablet UI, which will use concepts from the Metro interface developed for Windows Phone 7, in June. That's next month. Actually, to get you a bit more excited, next month starts next week. If that still doesn't pique your interest, let me try again. The rumor is back in full force. Microsoft will reportedly preview Windows for tablets during demonstrations next week, according to three people with knowledge of the company's plans, cited by Bloomberg. It's not clear where exactly it will happen: Windows President Steven Sinofsky is scheduled to present at the All Things D conference while Vice President Steve Guggenheimer is addressing the Computex show in Taipei. It could be at both places, but if it has to be just one, we'd wager it's going to be the former. Ever since the development of Windows 7, Sinofsky has been doing the early Windows demos. The company will showcase the software's touch-screen interface running on hardware with an Nvidia Tegra chip, which is based on ARM technology. That's not a coincidence. Microsoft announced earlier this year that Windows 8 will support Intel, AMD, and ARM architectures. 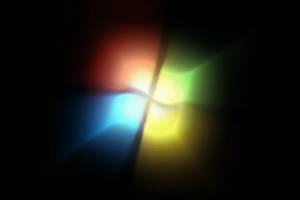 Although a rumor suggests that Windows 8 will arrive on January 7, 2013, we expect that the operating system will ship in time for the 2012 holiday season. In fact, Microsoft CEO Steve Ballmer has said Windows 8 is coming in 2012, although Microsoft quickly claimed this was a misstatement.